I am not a guru who will solve all your problems. I don’t know your current life situation and I cannot promise that you will succeed with what you do. I can’t say that after reading this article you will love your current job or that you will eliminate all the negative energy you receive day in and day out. 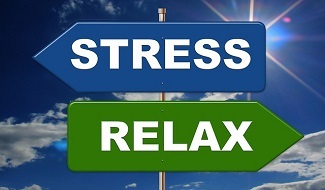 However, I can share some insights that will greatly reduce your stress levels at work. Not only that, but these solutions will improve your overall health, your self-esteem and your personal productivity & effectiveness as well. No matter, who you are and no matter what you do, these 8 powerful and creative suggestions will help you in recharging yourself with new and fresh energy. Let’s dive into the tips! Did you know that food affects your productivity? What you eat affects your energy levels, your concentration and clarity! It influences your mood and well-being. It is vital that you eat healthy, especially while you’re at work. Avoid junk food. Avoid office food. The next time when your colleagues order a big fat pizza for them, you try something different. Take some snacks full with protein and fiber. Eat food rich with glucose as this is the main source of energy for your brain. Stop taking some junk from a vending machine. Instead of drinking 10 cups of coffee, go with some fresh juices or perhaps a tea in cold weathers. Coffee not only dehydrates you every time you drink it, it also causes your appetite to grow substantially. It’s the best to bring something from home. Include as much fresh fruits and vegetables as possible. The food you intake must be non-processed. Do you know those “happy-hour” promotions they do in cafes like buy a coke and get a free coffee with cookies or whatever? You need to create one on your own at work. This has nothing to do with buying anything and getting something for free, but it has everything to do with giving yourself a pat on the back, and going into the silence for a while. This happens only at a certain time in the day, the same like with those promotions. Set your “Happy Hour” somewhere at lunch, perhaps when you get a break. Of course you don’t need an entire hour for this… it will only last a few minutes. No matter how much work you have, it is essential to take some time off and reduce your stress levels. I suggest you meditate for a couple of minutes. Find a quiet place in your office. Close the door and sit still. Start breathing deeply. Close your eyes gently and start using your imagination. See yourself on an exotic beach or a beautiful and peaceful mountain. Hear the birds flying above your head, feel and listen to the wind, feel the sand underneath your feet and enter the ocean with your legs. After you relax and pump yourself up with some fresh energy, go back to your obligations. And by the way, you’re not limited to meditation and visualization. Create your own happy hour by doing an activity that makes you calm and relaxed. Your time is valuable. There are all kinds of people that don’t respect this. They’ll constantly try to shift your focus and gain attention. Most of the time they discuss meaningless topics like politics, boring soap operas that go on the TV, some events that have happened in their life and now that everyone else should know about – just all the garbage that they carry with them day and night. Don’t waste your life! Just find a way to ignore them or to tell them that you’re not really interested in their BS. If you decide not to fill your mind with all this garbage, not only will you become more productive but you’ll reduce your stress significantly! I know that many people think that using affirmations is a crappy idea. I’m inclined not to agree with this. Why? Because I’ve used them for many years in my life and they deliver results time and time again. Affirmations can really be useless if you don’t know what you’re doing. But when used effectively, they can really be powerful! The real problem is that people expect miracles to happen literally overnight after chanting a string of words. This is not the way affirmations work. You need to be both consistent and persistent with this activity. Put emotions in you’re your voice and try to feel the sensation of already having achieved what it is the affirmation suggests. Confirm statements to yourself that make you feel powerful and confident. Create your own affirmations. Choose the ones that make you feel special and use them on a constant basis… perhaps before you go to work, during your work hours and at night, before bed time. There are much better ways to earn money than to trade your time for it. Your work should serve as an inspiration, and your career must be something you love pursuing — not something you trade for money. So if you’re looking for ways to earn more money, just start some multiple streams of income. Start working from home on projects as a freelancer or create your first website. Of course you’re not limited to this, the possibilities are literally endless. But understand this – staying overtime is one of the most effective and quickest ways to become stressed and overwhelmed in life. You don’t have to prove your self-worth to anybody. Don’t trade your life for some extra dollars! Of course you can do this from time to time, but please make it the exception and not the norm! Staying overtime can be fatal to your health as well. If you have this habit, I suggest you consider eliminating it as soon as possible. If you’re one of those individuals that loves to gossip about everything and everyone, then you’re wasting your life! This negative mental activity not only can destroy your relationships with your peers, it can destroy your relationship with yourself! Everything that we notice in others is something that we secretly possess ourselves, or something we’re subconsciously afraid of. This destructive habit will destroy you in the long run! It can even get you fired! Build an identity and a self-image of a positive and strong person with principles. Don’t get involved in the meaningless chattering around the water cooler or the secretary’s shoes worth $1500. 7. Eat the Ugliest Frog First! There’s an excellent book from Brian Tracy called “Eat That Frog”. In it, he lays out all the principles for eliminating procrastination in your life. One of the best tips he discusses in the book is the idea about eating an ugly frog as one of the first things in the morning. The ugly toad is a symbol for the most difficult task and obligation that you have for the day. It is the task that you are tempted to procrastinate on. Tracy suggests that the first thing you should do each and every morning is eating that frog – finishing that particular task. This will boost your productivity by 100%. It’s guaranteed, just try it and see for yourself! This will greatly reduce your stress levels that arise from workload. It will also boost your confidence because you’ve now eliminated the hardest task for the day, leaving you a schedule with more relaxing and easier activities. In his amazing book “The Richest Man in Babylon” George Clason lays the foundation for achieving financial success and freedom. Earning money is a science in itself, and I won’t debate the entire book… instead, I’ll give you the 5 rules for making your wallet fatter. * Start feeding your bank account. – 10% of all your earnings are yours! We give our salaries to the local markets, to doctors, to electricity and gas companies, and the list goes on and on. From now on, decide to deduct at least ten percent of your income just for yourself! Put this money aside and forget it for a while. * Start controlling your expenses. – Create your personal accounting sheet. Cut expenses wherever you can. This will leave you with a higher gross income which in turn will increase your own 10% of savings each and every month. – Create multiple streams of income. Remember, you don’t trade your time for money here… instead, you create ideas which you later turn into passive streams of income. Search for good opportunities and invest your money wisely. * Protect Your Wealth from Losses. – Insure your house, your car, your precious metals and every valuable asset on your personal balance sheet. * Increase Your Earning Capabilities. – Study more. Develop new skills and gain new levels of awareness. Expand your mind and increase your specialized knowledge. Remember what Andrew Carnegie said: “Earning large sums of money calls for power. Power arises as a result of intelligently directed specialized knowledge”, so invest in personal development and specialized courses for gaining new skills. It will pay huge dividends for you in the long run! By following these guidelines you will certainly increase your net worth. Even if at some point you get laid off you won’t be in panic. You have to plan ahead and know where you’re going, otherwise, you’re just waiting on what tomorrow will bring you. There’s no doubt that we live in a stressful world that puts pressure on us from all sides. However, we are the ones that control how we will respond to the punches we receive from life. We have been given the God-Like power and ability to “choose”. You can choose to work in a crappy place or you can quit. You can choose to be miserable and complain about life, or you can do something to change it. You can choose to eat unhealthy foods and comfort yourself that it is alright, or you can stop fooling yourself and take action. Understand that we can’t run away from our responsibility. We all get one bite of the apple. If you seriously want to build a successful career you’re going to have to work for it. You’re gonna have to step out of your comfort zone and change your dearest and most cherished habits and beliefs. Try these 8 solutions. Why not? I don’t remember where exactly from, but I heard this timeless thought you should seriously consider burning into your Mind – “You can read or hear some helpful advice and then simply accept it – or you can completely reject it. You can do that… You also have the option to entirely neglect all the information. But remember… only a fool, will not take an idea, kick that idea around, and see, if it will alter and/or improve his or her life”! Zdravko Lukovski – a young enthusiast – is the owner of EnlightenmentPortal.com and several other blogs. Visit his website to discover some interesting personality development tips that you can start using immediately in your life! « The Difference Between Being Good and Being Great? How Quickly You Get Back on Track!